RW: Where did the Isaac you describe in I Love Anger, that grew to love anger come from, that younger version of you, that world? ISAAC: In the introduction and angry roots I describe how anger began to grow in my life from a youth to an adult. Living in a world of no hope and no light can be difficult to function in. It is not a world I would want anyone to experience. RW: Though you went through a lot, and I mean a lot, growing up, you’ve obviously chosen to take your life in a different direction. The book obviously pulls from your experiences, I mean this is your story, but you also have experience in Anger Management. Would you tell our readers something about that? ISAAC: I wanted this book to be a personal and clinical approach towards anger. I wanted the reader to understand through my pain so they could see the trials and triumphs through me. If I gave them anything less than that, I would probably rob them of a true self help experience. I didn’t want them to feel alone, in the book we walk through anger management together. RW: Excellent, so you have the true story and life experiences COMBINED with the training to truly put it all together for us to share. Were you encouraged to share this story with others because of that combination? I mean only YOU could tell this story and the way to where you are now. ISAAC: At first the book was for me, I began writing down my thoughts and to help me see what was inside me. It was therapy for me. As I continued to write I felt like this could help others so I turned it into a book. I wanted to give a real life, no joke approach but also give a clinical side for balance. RW: I have to say, the story of you growing up, I can connect to some of it. My situation wasn’t quite like that but there were moments and a lot of my family members had lives kind of like that. One died in prison. Looking at his prison picture I could see the anger in him. What would you say to my relative, if he were alive and it was the day before he stole that last time that got him caught, what would you tell him that was in I Love Anger that could help him find his way out? RW: You know, you nailed a few things there that I think would’ve helped. One thing our readers should know is, this book ain’t sugar coated to make everyone feel all warm and fuzzy about the end. You tell it like it was as you go along. What kept you focused on being certain your story was as it should be and not a motivational speaker book? ISAAC: The reader needs something authentic and something they can relate to. RW: Was there a moment where you were in a place of not going to finish this book, it’s too much, and I just want to forget all of this that’s happened? ISAAC: Yes, I stopped for weeks but I got more and more insight for the book and at that point I knew that I had to complete it for my readers, it was much bigger than me. RW: Where are you in your head these days and your heart? ISAAC: My Faith in God, Family and Ministry. RW: I knew that answer before I asked. It was a set up. You’re living it. Do you have a particular story of where your book has touched someone, helped them, where they’ve written to you or even come up to you and just shared what your words have helped them with? ISAAC: I have had someone come up to me and tell me that if they went through what I went through they probably wouldn’t be alive. 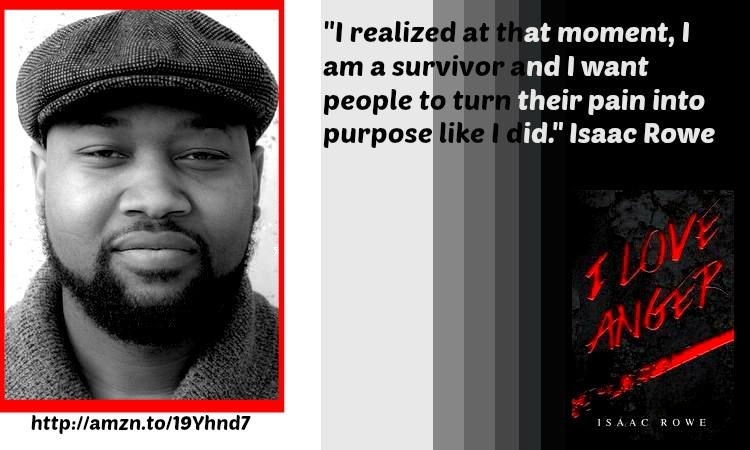 I realized at that moment, I am a survivor and I want people to turn their pain into purpose like I did. RW: I like that. You keep getting out of what you’ve given to others. I see you do book signings and things of that nature in the Austin area and parts of Texas, are you open for speaking engagements, perhaps through Skype if anyone reading would be interested in your services? I mention Skype because I am sure it might be difficult to travel to Canada and back before work calls to find out where you are. ISAAC: Yes I do book signings in my region and I am always open to speaking engagements because knowledge is power, if you know better you have an opportunity to do better. Yes, I currently provide online coaching and mentorship through Skype. RW: How about for any other sites out there who would like to have you perhaps do a guest article for them, are you open to that and if so how would they go about contacting them? I mean your subject covers the world. There is no boundary that anger doesn’t cross and no person it doesn’t touch. 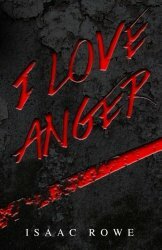 RW: Is there a way our readers could order a signed copy of I Love Anger? I know how what I will call bookies love real paper and like to have that personal touch if they can. Yes, if people who love food can be called foodies, I can call people who love books bookies. RW: Okay, we’ve been serious. Now let’s go into the areas I like to go to in order to find out about who you are. What ice cold drink do you like with your meal? And for that matter, tell us what your favorite meal is, and your wife is watching, so the Queen will know. ISAAC: Strawberry Lemonade, Ugali (African dish) white corn meal, greens and chicken. I looked up Ugali, they call it the Kenyan Running Superfood. If it’s made of cornmeal it’s got to be good. RW: I think you just described the perfect meal for a man that just got out of the hospital, that being me. You’re a Texan so, Spurs or Rockets, and why not go ahead and choose Cowboys or Texans? ISAAC: I support all Texas TEAMS but Spurs and Cowboys for sure! RW: If you could go to one place in the world, where would it be and why? And we’ll say the Queen isn’t looking, but remember she’s going with you. ISAAC: Africa because I want to connect with my roots and learn from the people. RW: What book are you reading now? RW: What book OTHER THAN YOUR OWN, would you recommend to people to read? RW: I’ve mentioned the Queen several times now; tell us about her highness, the glory of your life. ISAAC: Read the dedication in my book! I would tell all of you what the dedication says, but he said go read it, so I think you need to get the book and go read it. RW: Finally, what’s your favorite word and why? ISAAC: Authentic. When you know who you are, it resonates. You’re free of anything that’s not what you want or who you want to be . . . original. I don’t want to die not being myself or living a lie. Get the Book at Amazon: I even put the full link below. To get connect with Isaac, visit his websites at www.iloveanger.com and www.themaninme.org. You can also join him on one of his Twitter accounts or facebook. Previous PostPaid book promotions and other ideas to sell your book. The feedback.Next PostNew Site: AuthorsSupportingAuthors. Thanks for the introduction and the interview, Ronovan. A fascinating guest and a very important topic. I hope you’re better now.